For some many years, as wind turbines have proliferated through the land, Booker and I have been asking the same question: where is the back-up to cover for the many periods when the wind does not blow? With no apparent evidence of conventional back-up plants being built, little did we imagine that, under our very noses, the capacity was being provided in a form undreamed of. 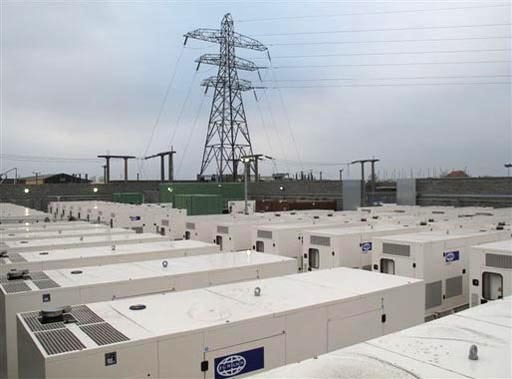 Standby diesel generators are being bought up on a colossal scale, by a growing band of companies set up to exploit what is turning out to be a huge "back-up bonanza". This is the Short-Term Operating Reserve (STOR), and entrepreneurs have not been slow in recognising what has been described as "Money for Nothing". The first entrant into this new market, though, was an American, David Walters, former governor Democratic of Oklahoma. In 1995, he had formed his own energy company, Walters Power International, then in 2009 forming a UK subidiary, Walters Power UK. Its task was to capitalise on the "standing reserve" capacity being encouraged by the country's "progressive energy policy". At its formation in 2009, the UK company was completing the final arrangements to initiate a 10MW power plant and, as the UK transitioned from high-carbon generation plants (primarily coal), it planned to develop a number of power plants to address "anticipated peak power shortages", the company PR said..
"Walters Power is exploring putting in renewable energy plants in the future, since one can get paid more than $200/MWH for such generation in the UK. In comparison, California gets $100/MWH, while Oklahoma renewable gets paid $30/MWH. So the UK is a prime market for us for renewable energy plants", said David Walters. What turned out to be the very first purpose-built STOR plant in the UK was commissioned in April 2010. Walters Power UK chose a remote site surrounded by agricultural land between the villages of Thorpe in Balne and Trumfleet, about six miles north of Doncaster in South Yorkshire (pictured above). Originally, it had been developed in 1998 by Warwick Energy to exploit the tiny Trumfleet gas field. It was equipped with natural gas-powered generators, producing up to 8MW of electricity for the grid. Following depletion of the gas reserves, however, the site and associated infrastructure was sold to Walters in 2009, who has since transferred it to a Walters associate, UK Power Reserve (Trumfleet) Ltd, part of UK Power Reserve, formed in late 2010, "to provide niche services to the UK power sector". The CEO and Chairman of the Board is David Walters. The gas sets were stripped out and replaced with four second-hand 12V200 Wartsila-Cummins diesel generators, each rated at 2.2MW, previously bought by Yorkshire Electricity in 2000 for peak shaving, until its plant was sold in 2005 and dismantled, the sets being acquired by Walters, now hidden behind a screen of trees, invisible to the passer-by (below). 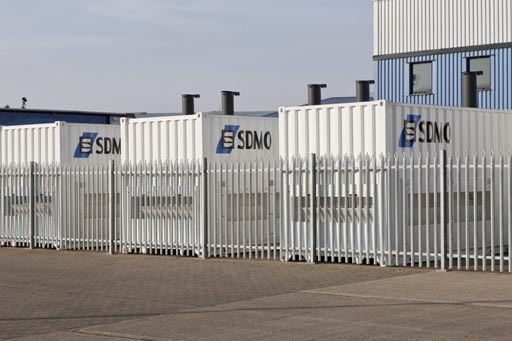 In late October 2011, it was reported that the operator had requested has requested an upgrade in the capacity of their connector to the grid, to bring it up to 20MW – what seems now to be the industry standard for STOR blocks. Another company quick to take advantage of the STOR bonaza was Green Frog Power 214 Limited. It was originally set up to invest in and develop "new green technologies", collecting used cooking oil and turning it into "environmentally friendly biofuel" for generating electricity in their own green electricity generators. This electricity was "100 percent renewable" and supplied to Green Energy UK through the National Grid. Now, the company has been seduced by "the dark side", claiming to have "a pipeline" to build 500MW of power generation across the UK, using red diesel as a fuel. The National Grid, it explained by way of justification, "needs our power to alleviate stresses on the transmission systems, for example when other power stations shut down or when the wind stops blowing". The UK, it added, "is entering a period of power instability as old coal and nuclear-powered stations close and their replacements are delayed. Power cuts are predicted within five years by energy regulator Ofgem", later arguing that the STOR capacity had been calculated to double in the coming decade from 4GW to 8GW (National Grid "Future Balancing Services Requirements: Response" 2009). Until there is a breakthrough in non intermittent green energy or people are prepared to accept power cuts, the company said, it is essential to have back-up for wind power. The greenest and simplest back-up is provided by reciprocating engines, with 100 years of proven history. This enabling technology is low carbon and provides the flexibility to allow the proliferation of wind and other intermittent generation. On 5 July 2010, the company asked Redcar and Cleveland District Council to approve to approve a 20MW "standby small scale embedded power plant" near Grangetown. It was to employ 52 diesel generators. Approval was given on 2 September 2010. A month later, the Birmingham-based company was awarded a 15-year Short Term Operating Reserve (STOR) contract with National Grid to develop a series of twelve, diesel-powered 20MW generating plants. In conjunction with equity partners, InfraRed Capital, it then secured a £60m finance from the Royal Bank of Scotland (RBS), for a project with a value of £75 million. Already, it had identified as site in North Lincolnshire and was seeking other sites in the North East, Yorkshire, South Wales and Devon. In March 2010, it was telling the Yorkshire Evening Post that it planned to build 21 mini power stations at sites across Yorkshire. Known as "Embedded Generation Stations", the standard model was a 6MW unit, located adjacent to an existing sub-station, operating for less than 150 hours a year. A 52-generator, 20MW Green Frog site was approved, this one at Neath, near Port Talbot, on 5 January 2012. 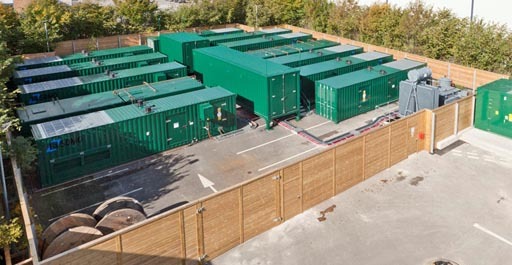 Then, in March 2012, the Company applied for planning permission for another embedded 20MW distributed standby power plant, comprising 52 diesel generators, within the Plymouth Main substation near Plymouth. The permission was granted in May 2012. A 20MW unit has also been completed at the Garnoch Site in Swansea, and a smaller 6MW units had been installed in Tregaron, Wales. The generating equipment had been manufactured by FG Wilson which claimed that, in November 2011, within hours of Green Frog opening its site in Somerden Road, Hull, a sudden surge in electricity demand had prompted the National Grid to call them for emergency back-up. An output of 20MW had been produced continuously for seventy minutes without incident, proving the success of the project. On 14 February 2012, a planning application was approved by Newark and Sherwood District Council, made on behalf of Abbey Powergen PLC, by the Pegasus Planning Group, based in Leeds. 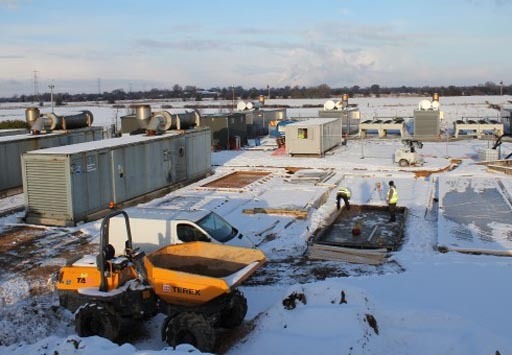 This covered the siting of eight containers each containing a diesel generator, the site capable of providing 24MW for STOR, on the land adjacent Quarry Farm, Balderton, near Newark On Trent, Nottinghamshire. A maximum demand of 300 hours was specified. In August 2012, the newly formed Nottingham-based Power Balancing Services Limited submitted a scheme for planning approval to Amber Valley District Council, on waste ground close to an industrial estate near Heanor, in Derbyshire. 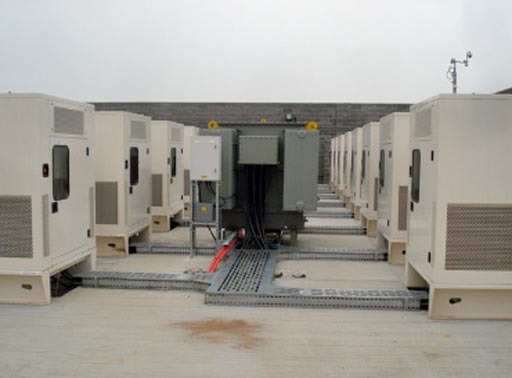 The completed unit was to provide 17MW to the National Grid for STOR, using ten containerised Broadcrown 1.68MW diesel generators. Combined fuel consumption was stated at 437 litres of diesel per hour. The scheme was approved on 30 October 2012. 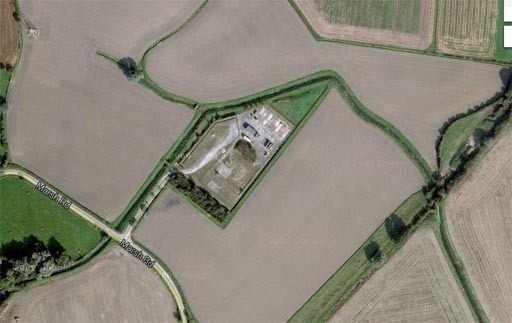 In January of this year, Dover District Council received a planning application for the redevelopment of a 3.02 acre part of the former Richborough Power Station site, near Sandwich. It was to create a 42.4 MW capacity "Peaking Plant Facility", comprising 51 diesel generator sets and associated equipment, operating for up to 720 hours a year - an untypically long period for a STOR site. The site is to be managed by Glasgow-based Aggreko PLC, the "world leader in the supply of temporary power solutions" and, according to the local newspaper, the company that provided all power generation to the London Olympics, much to the dismay of local environmentalists. Approval has been given and work is expected to start shortly. Another Green Frog 20MW-52 generator STOR unit, again described as a "small scale standby embedded power plant", was proposed in March 2013. The site was located on green belt land, the outskirts of Letchworth Garden City between a grid substation and the busy A1 and Baldock Road. It was designed to have a 24 hour full load, i.e. all sets running, fuel storage capacity. The scheme was approved by North Hertfordshire District Council on 12 June 2013. Also in June 2013, it was back to Plymouth, where another application was made for a similar 20MW unit, this time by a different company, Fulcrum Power Limited, working with Armstrong Energy. The company was well-practiced. In the February, it had successfully applied to Mendip District Council for permission to install 24 diesel powered generators for the generation of STOR electricity of up to 100MW, at Whatley Quarry, near Frome, Somerset, on land owned by Hanson Aggregates. Permission was granted on 15 March 2013. Another 20MW unit, the operator unknown, is located in Flatworth, Tynemouth, and is due for completion in the fourth quarter of 2013. The unit was been identified by UESL, but no client was named. Then, specialist installer, Ocktcom boasts of having completing their customer's first four STOR power plants in 2011. The company says it is now well underway with supplying and installing SDMO generators and ancillary equipment for the latest 20MW site. The client appears to be the secretive Peak Gen Power Ltd, identified by its trade association. Its first new-build plant was commissioned in October 2011 and handed over to National Grid for STOR service. 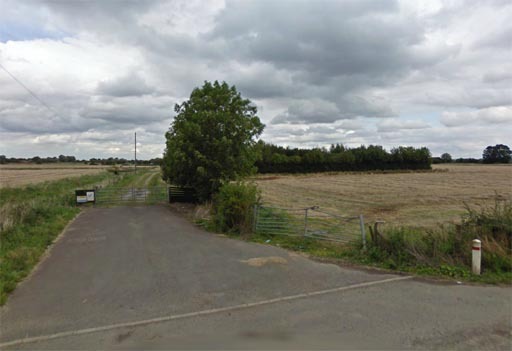 The company's most recent scheme was submitted to Peterborough Council for planning permission in October 2012, relating to a site at Woodston, and approved in the following December. 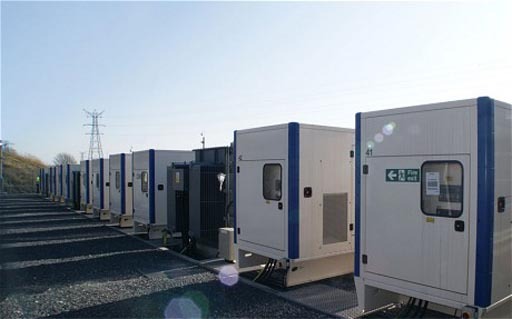 Details given in the various applications vary, the number of generators varying from 18 to ten, the capacity of the site being rated at 20MW when completed. The locations of other identified Peak Gen sites include a 22MW site at Llandarcy, near Cardiff, running 11 diesel generators, Didcot, Leamington Spa and Portland. By now, UK Power Reserve, had become an aggregator, offering STOR services "to industry partners and participants who have an asset base but power generation is not their core business". 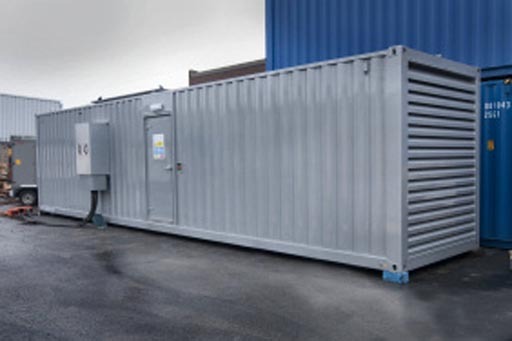 Nevertheless, on its own behalf, it sought and obtained in July 2011 planning permission for a 20 diesel generator site in Melton Mobray, capable of delivering 20MW. When seeking planning permission for this operation, the company assured the Council of the low level of the utilisation of the Trumfleet operation. Within the past year, it had been called upon 73 times with the average running time of 83 minutes totalling to 100 hours per annum - less than the requested allowance of 300 hours per annum. 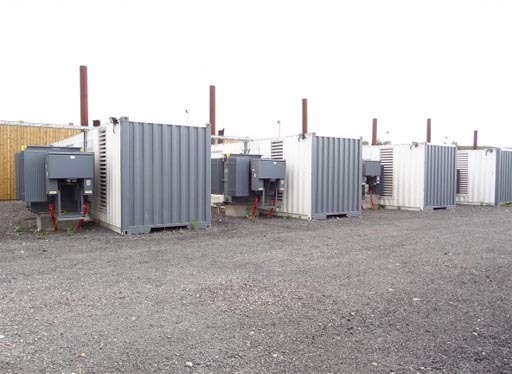 In late October 2011, it was reported that the it was requesting an upgrade in the capacity of their connector to the grid for the Trumfleet site, to bring it up to 20MW – what seemed now to be the industry standard for STOR blocks. The company then submitted a "screening application" in March 2013 to North East Lincolnshire Council for a unit in Immingham, with a go-ahead given in April, clearing the way to apply for permission to install 12 2MW gas-powered generators, delivering 24MW to the grid. There are many much smaller operators, such as Renewable Energy Generation which operates 8MW STOR generators, using biodiesel, to augment its fleet of wind turbines. As of 30 June 2012, though, it had over 40MW of STOR projects available for construction. There is the publishing giant DC Thomson, which has had two STOR-compliant HV 2500-1 KVA diesel generator sets installed in its printing plant in Dundee, Scotland, and Wadswick Energy which has been operating a 1MW STOR diesel generator on-site for over a year. The installation of STOR-compliant equipment was becoming more generalised. In November 2011, supermarket chain Wm Morrisons took possession of yet another 1500kVA generating plant (pictured immediately above) - another anonymous steel box. The infrastructure to allow for STOR controlled energy export had been built into the system. 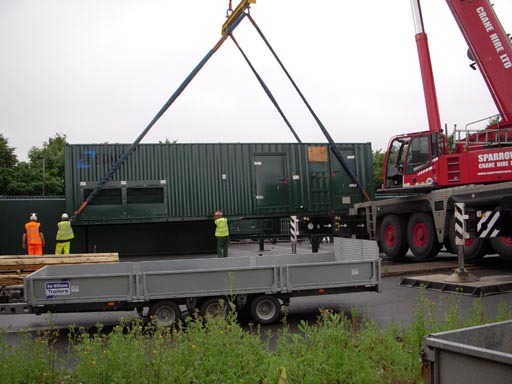 In May 2013 the company took delivery of three generators for its distribution centre in Bridgwater, Somerset. These comprised a dual purpose 2MV generator and two 150KV units, together with an 11,000 litre fuel tank that permitted 24-hour running on full load. The larger dual-purpose generator was configured for remote start to export 1.4MW of power back to the grid under the STOR scheme, earning around £7,000/MW per annum, for what otherwise would have been a net cost to the company. 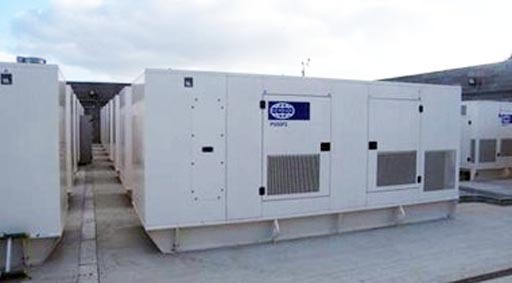 In addition, there are companies such as UPS Systems PLC, this one operating the "GENsmart STOR scheme", which allows operators to recover the complete costs of new generators through participation in their STOR scheme. Industry consultants, Generator Power Systems, on the other hand, offer to guide companies through the certification process, including the initial engineering and equipment surveys, upgrading existing equipment, new generator installations, ongoing maintenance and the final contract with National Grid. What we are seeing, therefore, is a major change in the STOR concept. Originally, the system was devised to use spare capacity, through running unused standby generators. Now, it is dragging new capacity into the system, with dedicated generators installed solely to service the reserve market. Driving this change is money. As Autonomous Mind points out, billions of pounds are on offer. Energy company npower has estimated that the STOR price paid when stand-by generation capacity was called for was £180-280/MWh in 2010. There was also a payment of around £7-10/MWh. This was worth around £30,000-45,000/MW per annum to an owner of stand-by generation. That, already, was roughly eight times the industrial tariff for power. But, as the demand for operating reserve increases, the price is expected to rise and the incentive to participate will grow stronger, pulling more capacity into the market. By 2015, National Grid estimates that the utilisation payment will have risen to an average of £544/MWh. By 2020, the figure is expected to be £685/MWh, all in real terms in 2010/11 money. That is an increase of 96 percent in ten years. Across the whole market, the total payments for being available and for generating could reach £945 million per annum by 2020, up from £205 million in 2010. That is an increase of 350 per cent in ten years, representing a massive additional levy on hard-pressed consumers. Bizarrely, this is still cheaper than the cost of providing the same capacity through spinning reserve, but it still represents a £1 billion premium for backing up wind turbine fleet. The industry is thus complimenting itself on having found "the cheapest way to maintain an uninterrupted power supply" for the scenario the UK finds itself in. Perversely, it believes the massive extra cost is "to the benefit of all consumers". When the National Grid is then prepared to offer long-term contracts to players who can then go to equity financiers to fund new generators, investors are rubbing their hands at the prospect of a guaranteed nine percent return on their capital, with no risk. So lucrative has the business become that even a renewable energy company OST Energy is now looking to construct four STOR power stations, nominally two 16MW, one 12MW and one 8MW rated plants in South Yorkshire – where the industry first laid down its roots. Money might be driving the change, but greed is driving our energy policy, with the ultimate absurdity of having tens of thousand diesel generators keeping "low carbon" wind turbines in business - greed, compounded by utter insanity.